All women of the parish are eligible and invited to join CCW. The St. Patrick Council of Catholic Women is a group of women involved in many programs which address issues such as the dignity of life, faith formation, vocations, domestic violence, women’s health, the protection of children, grief and bereavement, human trafficking, poverty and the plight of the homeless. 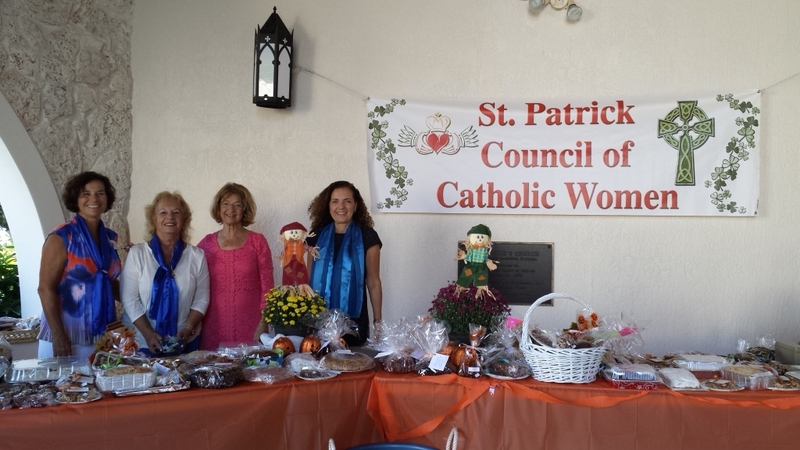 Since 1999 the St. Patrick Council of Catholic Women (commonly known as CCW) has served our parish and community embracing the goals set forth by the National Council of Catholic Women. The National Council of Catholic Women acts through its affiliated organizations to support, empower, and educate all Catholic women in spirituality, leadership and service. NCCW programs respond with Gospel values to the needs of the Church and society in the modern world. St. Patrick Council of Catholic Women, as an affiliate of NCCW, affirms and embraces this mission.